Classic floral scroll print with a blue base with tan vines have flowers of rusty reds and soft purple. The shower curtain is made from 100% cotton cloth. Each shower curtain has hook holes for shower curtain hooks which are sold separately. 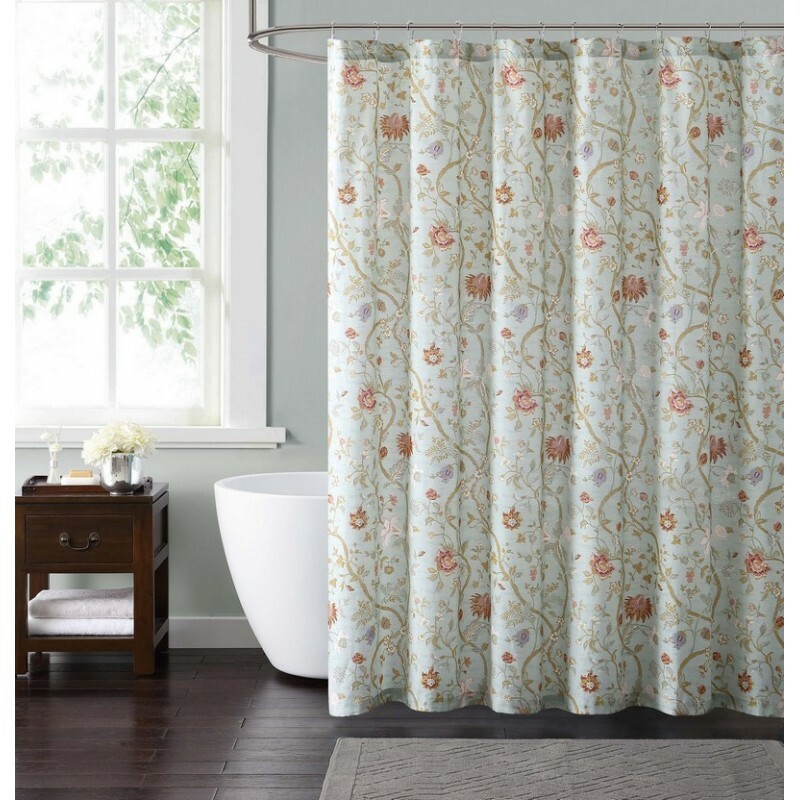 These shower curtains require a liner that must be purchased separately.